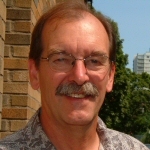 William L. Lang, Ph.D., is Professor of History at Portland State University, where he teaches Environmental and Public History. His research into African American history in Montana came as a result of teaching history at Carroll College in Helena (1971-1978) and his editorship of Montana, The Magazine of Western History (1978-1989) at the Montana Historical Society. Lang wrote “The Nearly Forgotten Blacks on Last Chance Gulch, 1900-1912,” Pacific Northwest Quarterly 70 (April 1979): 50-57 and “Tempest on Clore Street: Race and Politics in Helena, Montana, 1906,” Scratchgravel Hills 3 (1981). He is also author of Confederacy of Ambition: William Winlock Miller and the Making of Washington Territory (1996), Two Centuries of Lewis and Clark (2004), and editor of Centennial West (1991), Stories From an Open Country (1995), and Great River of the West (1999).